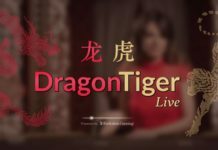 The Swedish game developer NetEnt Live released a brand new and exciting live casino product a couple of weeks ago. This game, which is a version of Blackjack, was created in collaboration with the UK gaming company Rank Group. The new game is called Live Perfect Blackjack and will initially be released exclusively to the British Grosvenor Casinos but will in future appear on more Live Casino around the world. So what is Live Perfect Blackjack? Live Perfect Blackjack is a live streaming Blackjack game where the dealer hands out cards for the so-called “perfect” Blackjack strategy. NetEnt showed this game during ICE 2019 and it has received tons of positive comments. The perfect blackjack strategy works just like regular blackjack but where the player has the chance to choose things like “double-down” and “auto-split”. The details are still a bit unclear, but what we know is that this game gives the player an RTP of 99.5% which only gives the house an advantage of 0.5% in the long run.